BLOWOUT SALE. Know somebody that works on their feet all day? 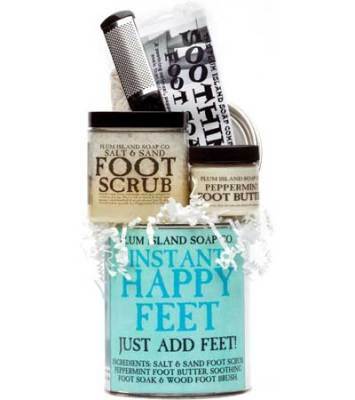 Well, why not indulge them with our Instant Happy Feet Gift Set. Chock-full of our best-selling, all-natural foot care products, it’s gonna’ make them want to get up and dance! Packaged in an attractive 1-quart paint can. This shea butter and sweet almond oil lotion is available in three tantalizing scents. 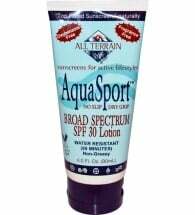 An effective, broad spectrum SPF 30 lotion that lasts up to 80 minutes in water. Made with pure botanical oils and carefully blended to treat your skin kindly. 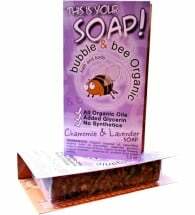 Completely vegan, and made with loads of moisturizing vegetable glycerin.